Construction management document templates (PMBOK approved). We sell the most affordable project management templates for the Construction Industry. The document forms or templates provided here are preconfirgured (ready for use) for Word, Excel, Powerpoint and PDF, complete with formulas and layouts. Our templates were designed and developed due to the demands created in the Construction Industry. Whether you are a Main Contractor, Sub-contractor or even a Consultant, we have exactly what you need to standardise and enhance your current business. 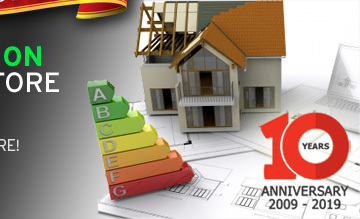 We are continuously developing new forms to cover most of the Construction Industry demands. We don't offer complicated software, lenghtly application forms or buy-in trial periods. We simply give you what you want! 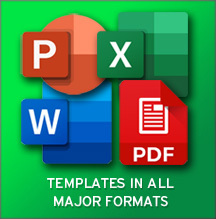 Templates in Excel, Word, Powerpoint and PDF! Cashflow Forecast template, Procurement Comparison template, Change management schedule, Procurement Schedule template, Payment Cycle template, Cheque Payment Voucher, Progress payment application template, Communication Plan template, Contra Charge letter template, Bending Schedules template, Cost Coding format, Site Instruction template, Pre-qualification template, Cost Report template, Statement of Final Account template, Subcontractor Engagement form, Cost Report template, Subcontractor Payment Certificate template, Subcontractor Final Account template, Engineer Payment Certificate, Vesting Certificate template, Final Account Cost Report, Subcontractor Payment template, Variation Order template, Forecast Final Account template, Labour Costing template, Value Engineering template, Actual Site Record, Agreed Value of Instruction template, New Rates Schedule template. Project performance report, Project Update template, Competence Report template, Attic Stock handover, Concrete KPI template, Purchase Requisition template, Fixed Asset purchase template, CVI template, RFI Template, Method Statement template, CVI Register, RFI Register, Monthly Progress report template, Daily Labour Report template, Site Expense Claim, Project Organogram template, File Label template, Site Query template, Project Task Assignment, Final Completion list, Subcontractor Rating, Project Timetable template, Incoming document stamp template, Purchase Order template, Gantt Chart template, Submittal Form, Site Establishment template, Key Handover list template, Tenant tracking schedule, Staff Leave template, Line of Balance template, Team organogram template, Logistics organogram, Project Schedule format, Submittal review format, Plant hire requisition, Time Study template, Taking Over Certificate format, Cart Away Record Sheet, Site Meeting Minutes, Daily Progress Report template, Material Delivery Record, Project Startup Meeting, Client Evaluation, Material Transfer Template, Daily Return of Materials, Scaffold Request template. Tender Addendum issue, Tender Approval Report, Pricing Tenant Attendance template, Enquiry Record Register, Tender QA form, Scope interface matrix, Post Tender Clarifications, Tender Team template, Simple Estimating sheet, Pre-bid Agreement template, Rate Analysis template, Subcontractor tender adjudication, Pre-qualification questionaire, Contract Risk Review, Tender Data sheet, Standard tender qualifications, D&B Risk Matrix, Tender Finalization format, Tender Adjudication template, Tender Summary Report, Tender Finalisation Sheet, Tender Action Plan form, House Estimator template, Productivity Outputs, Tender Enquiry letter, Pricing of Preliminaries, Tender Prospects template, Tender Return Report, Rate Build-up Sheets, Quotation template, Project Delivery Plan, Construction Methodology template, Project delivery graphs, Tender Site Inspection Checklist, Tender Results form, Tender Resolution of Directors template, Tender List format, Tender Delegation of Authority template. Accident Investigation Report, Gas Welding inspection, Operator Permit template, Air Compressor Inspection, Goods Hoist Inspection, Porta Cabin Inspection, Chain Block inspection, Hazardous Chemicals inspection template, Pressure Test Permit template, Safety Pre-qualification form, Hot Work Permit template, Project Medical Form, Accident Statistics template, Hydraulic Jack inspection, Project Safety Report template, Due Dilligence Safety Report, Injury Register, Radiography Permit, Earth Leakage Inspection, Colour Coding inspection, Risk Assessment template, Electrical Equipment in Hazardous area, Ladder register, Safety Audit template, Emergency Care Manual, Machine Guard inspection, Safety Audit Report, Excavation Permit template, Method Statement Risk assessment template, Safety Induction register, Fire Fighting Inspection, Motor Vehicle Inspection, Scaffold Inspection template, Fire Store Inspection, MSDS Task Sheet, Site Safety Handbook, First Aid box contents, Near Miss Report, Toolbox Talk record, Forklift Daily inspection, Notification of Construction, Weekly Excavation checklist, Hand tool inspection register, Water & Electricity logsheet, Waste Management Check list. Business card requisition, Job description Assistant QS, Medical Claim submission, Labour Transfer, Job description Commercial Manager, Sim card requisition, Computer user types, Job description Site Engineer, Staff Performance review template, Disciplinary form Enquiry, Job description Construction Manager, Staff Performance scorecards, Disciplinary form Level 1, Job description Contract Manager, Petrol card requisition, Disciplinary form Level 3, Job description Contract QS, Salary deduction authorization, Disciplinary form Level 5, Job description Foreman, Training requests, Employment offer request, Job description General foreman, Transfer permit template, Expat employment contract, Job description Junior foreman, Salary structure, Flight reimbursement request, Job description Jnr Site Engineer, Scorecard commercial, Internal transfer Labour, Job description Senior Commercial Manager, Staff grading structure format, Internal transfer Staff, Job description Senior Contract Manager, Staff timesheet form, Interview Draughtsman, Job description Senior foreman, Training skills matrix, Interview forms QS, Job description Senior QS, Update employee records, Interview forms Surveyor, IT user request and Expense Claim forms. Quality Control Inspection Plan, Quality Control Inspection Report, Quality Control Monitoring Report, Risk Alert, Project Quality Control Plan, Quality Control Checklist, Concrete Inspection form, Daily Quality Report, Weekly Quality Report, Method statement template, Emergency Defect form, Test Report Register, Excavation checlist and inspection template, Brickwork checlist and inspection template, Checklist Post Concrete, MEP Inspection template, MEP Release Form template, Bulk Cement Delivery template, Borrow Pit Acceptance Form, Concrete Mix Design template, Corrective Action Register, Corrective Action Report template, Curing Bath Temparature Record, Daily Concrete Test Record, Plumbing quality Inspection form, Drawing Stamps, Drawing Transmittal, Soil Moisture Content, Soil Dry Density Report, Excavation Checklist, Final Completion Certificate, Grading Analysis of Sand, Grading Analysis of Stone, NCR Template, NCR Register, Pre Hand Over Inspection, Pre Hand Over Inspection, Pressure Test Certificate, Preventative Action, Preventative Action Register, Punch List, Road Sign form, Setting Out Record, Soil Density Test Results, Soil In-situ report, Storage Inspection Report, Supplier Evaluation Report and Supplier Pre-Qualifications.